Aerial photo of flooding caused by Hurricane Katrina (2005). Recommendations for advancing the current state of flood analytics are presented in a report, “Rethinking Flood Analytics: Proceedings from the 2017 Flood Analytics Colloquium,” written by the CRC and RENCI after last fall’s “Rethinking Flood Analytics” Colloquium. The event was sponsored jointly by the CRC, RENCI and the U.S. Department of Homeland Security (DHS) Science and Technology Directorate (S&T). Experts from across various sectors and disciplines—some in the flood prevention and emergency response fields, others from as far afield as demography, satellite technology and news media—gathered to discuss what the future could hold at the Colloquium last November. Attendees discussed solutions and approaches to flood prediction and impact analytics that ranged from enhancements to current systems to entirely new types of technology. The event centered around ways to improve work done as part of the DHS S&T’s Flood Apex Program. A multi-disciplinary group of technical specialists and end users discussed flood analytics through presentations, group discussions, and “open mic” sessions, while addressing challenges and gaps in the field. “The method for quantifying flood risk is changing and the potential for doing a much better job of addressing that risk through analytics has increased dramatically,” according to the report. “Some techniques, such as numerical modeling, have been part of flood risk analysis for years. While important, evolutionary changes in the existing tools typically result in only incremental improvement. “The most dramatic advances tend to come from techniques not previously considered in connection with flood risk analysis,” including big data, artificial intelligence, remote sensing, social media and the internet of things. Avoid risk by protecting the most important assets from flooding and by considering where residents live and where development takes place. Invest in mitigation by understanding the real costs of flood disasters, valuing the real benefits of flood mitigation and implementing actions to achieve those benefits. Transfer and accepting risk by such actions as purchasing flood insurance and implementing mechanisms to cope with residual risk. 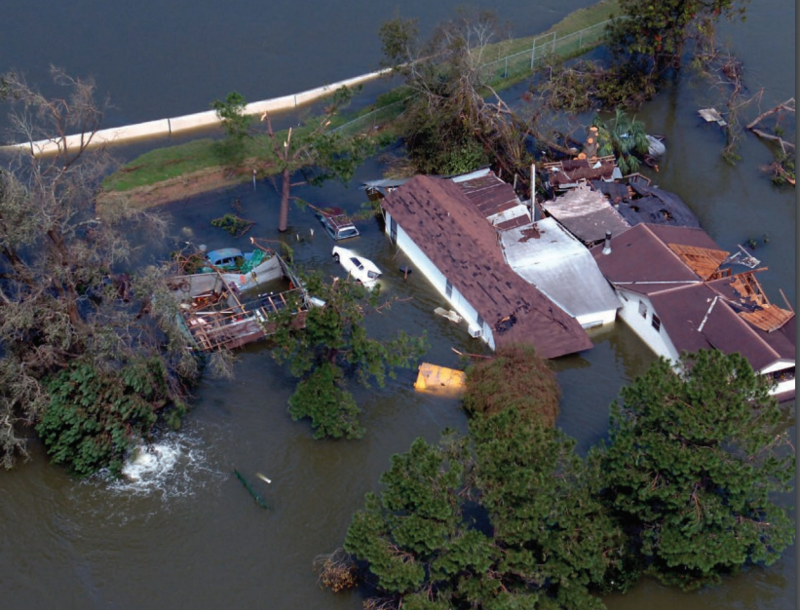 DHS S&T created the Flood Apex Program in 2014 to bring new and emerging technologies together to increase communities’ resilience to flood events and to provide predictive analytic tools for floods. The goals of the Program, which is managed by the First Responders Group of DHS S&T, are to reduce fatalities and property losses from future flood events, increase community resilience to flooding and develop better investment strategies to prepare for, respond to, recover from and mitigate flood hazards.